In my previous blog post I explained about an Exchange 2013 hybrid configuration, and what the prerequisites are for such a configuration and how to implement and configure one (or more) Exchange 2013 Hybrid servers. In this blog post we’ll continue with the Hybrid Configuration and we will run the Hybrid Configuration Wizard (HCW) to actually create the Exchange 2013 Hybrid configuration. Note. For simplicity I assume your Exchange 2013 is fully operational without any (certificate) issues on the Internet, which means you have configured all your Virtual Directories, Outlook Anywhere and Autodiscover. Everything must be working correctly to prevent any issues during configuration, possibly resulting in a misconfigured and not working hybrid configuration. 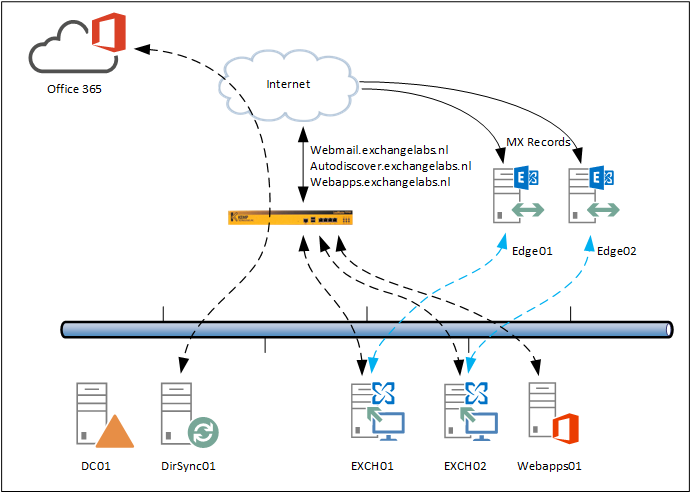 Configuring Exchange 2013 is relatively easy and can be started from the Exchange Admin Center (EAC). The wizard that’s used here is known as the Hybrid Configuration Wizard (HCW) and in my experience a very stable (although there have been some glitches with the HCW in earlier CU’s of Exchange 2013) and efficient wizard, providing you have met all prerequisites of course. 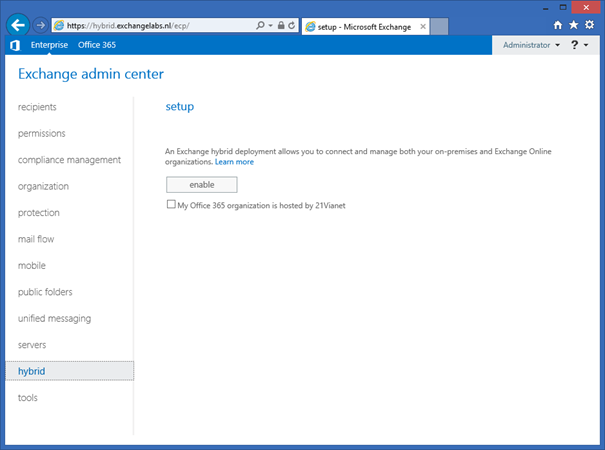 Login to the Exchange 2013 Hybrid server and start the Exchange Admin Center locally. The reason for doing this locally on the server is that during the wizard some additional software needs to be installed for the OAuth part of the Hybrid configuration. In the Exchange Admin Center in the navigation pane select hybrid. In the hybrid setup window click the enable button to initially enable the hybrid mode in your organization. The option My Office 365 organzation is hosted by 21Vianet should be left unchecked. Office 365 in China is hosted by 21Vianet so this option does not apply to us (unless you are in China and your organization is hosted by 21Vianet of course). In an earlier blog I explained the differences between Cloud Identities, Linked Identities and Federated Identities. The source of authority (i.e. where the accounts are managed) for Cloud Identities is Microsoft Online and for Linked and Federated Identities the source of authority is your on-premises Active Directory. To get these accounts in Azure Active Directory (Office 365) you have to setup a directory synchronization between Active Directory and Azure Active Directory. DirSync as a tool that can be downloaded from the Microsoft Online Portal. This is the ‘original’ DirSync tool which can be installed on a Domain Controller or on a dedicated DirSync server. This tool will be decommissioned somewhere in the (near) future. Microsoft Azure Active Directory (WAAD) Sync Services, the new DirSync tool that can be downloaded from http://www.microsoft.com/en-us/download/details.aspx?id=44225. This tool has the option to synchronize a multi-forest topology with one tenant in Office 365. Note. 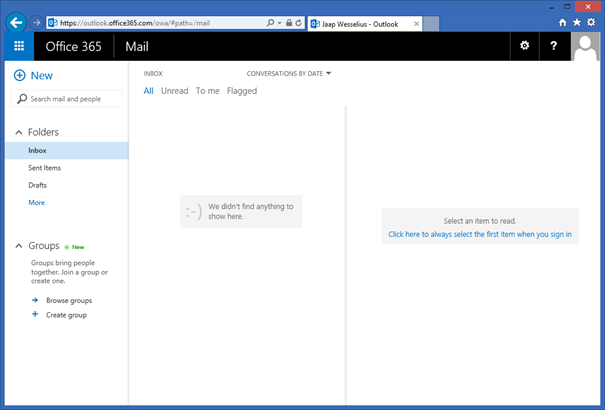 On June 24, 2015 Microsoft has released the Azure AD Connect & Connect Health. Azure AD Connect is the latest version of the Directory Synchronization. This blog is based on the previous Azure AD Sync, but I strongly recommend you look into the Azure AD Connect tool (there are a lot of similarities) which you can download from the Download center. Added note on April 20, 2018. Azure AD Connect is now the only supported version for implementing directory synchronization. It is updated on a regular basis and available via the Azure AD Connect download. If you perform a default installation, Azure AD Connect will automatically update itself when a new version is available. Now that Microsoft has released Skype for Business 2015 it’s time to have a look at the upgrade possibilities. I’m running Lync 2013 Standard Edition in my environment (Lync 2013 Front-End Server, Lync 2013 Edge server and Lync 2013 Mediation server), and lucky enough there is an in-place upgrade possibility. A downtime if required, but when scheduling off business hours this should not be a problem. In this blog post I’ll discuss a step-by-step upgrade from Lync 2013 Standard edition to Skype for Business 2015. I’m running Windows Server 2012 R2 on all my servers, so the only updates I have to apply is the Cumulative Update for Lync (to be safe, the May 2015 Cumulative Update (https://support.microsoft.com/en-us/kb/3051949) and the SQL Server 2012 SP1 update.